The temperature’s rising, but maybe you’ve tired of the ol’ tanktop-and-jeans ensemble. 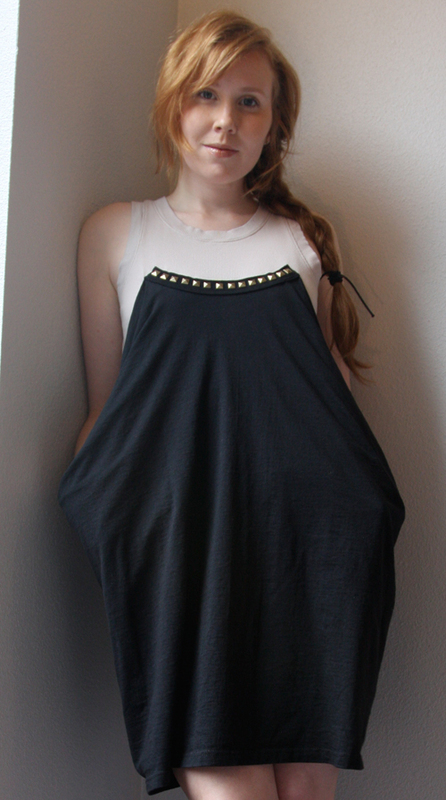 Maybe you want a go-to summer dress but still want it to be comfortable for when it gets really hot. Revamp a tanktop with the addition of an old men’s tee,** and live in soft-washed cotton comfort all summer. **I’ve adapted this recon from the book Kakkoii Kuchuuru Rimeiku [“Cool Couture Remake”], by Hiroko Yamase [Bunka Publishing, 2009]. The book is in Japanese, and I’ve converted the sizing to Western sizing, and changed the methodology here and there. Hope you like it! 1. Wash and dry both your tanktop and t-shirt if they haven’t been washed before. 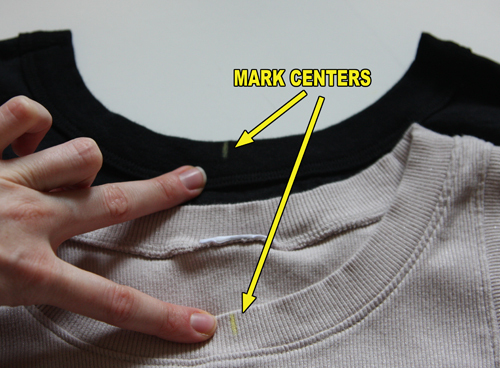 Turn the t-shirt inside out and cut off the label at the back of the neck. (not pictured) Cut off the shoulder seams all the way to the sleeve seams. 2. 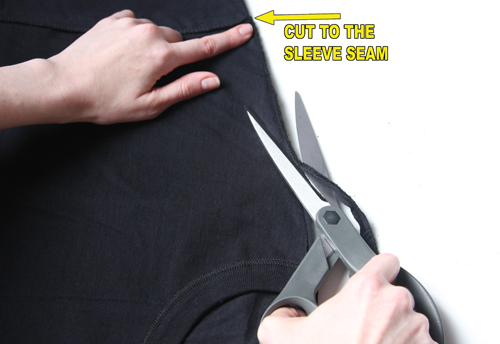 Sew the ends of the t-shirt’s sleeves closed, just inside the sleeve cuffs. 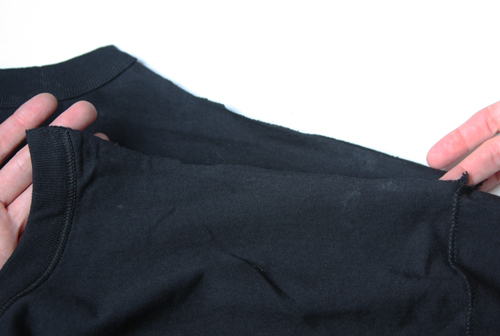 These will become pockets. 3. 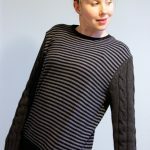 Fold down about 1/2″ along the slit shoulders (the raw edges) of the t-shirt, all the way around, front to back, neck ribbing to neck ribbing. 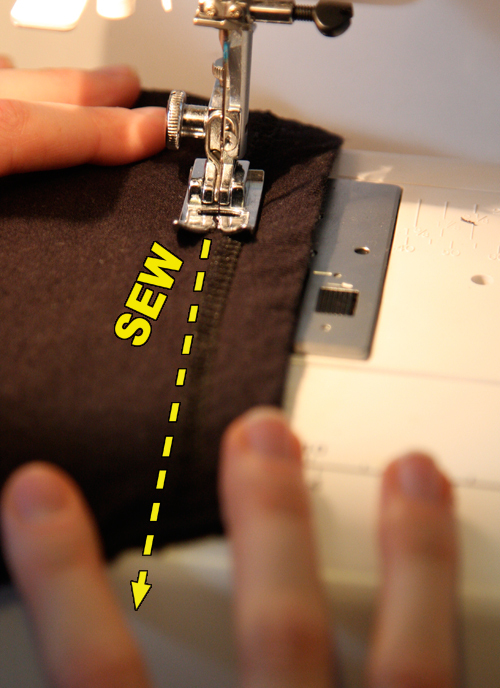 Stitch down, creating a 3/8″ hem. 4. 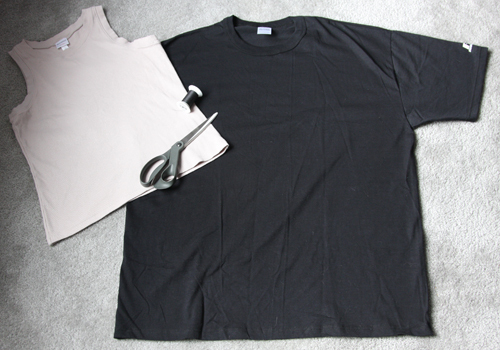 Turn the t-shirt right side out, tucking the sewn sleeves inside. 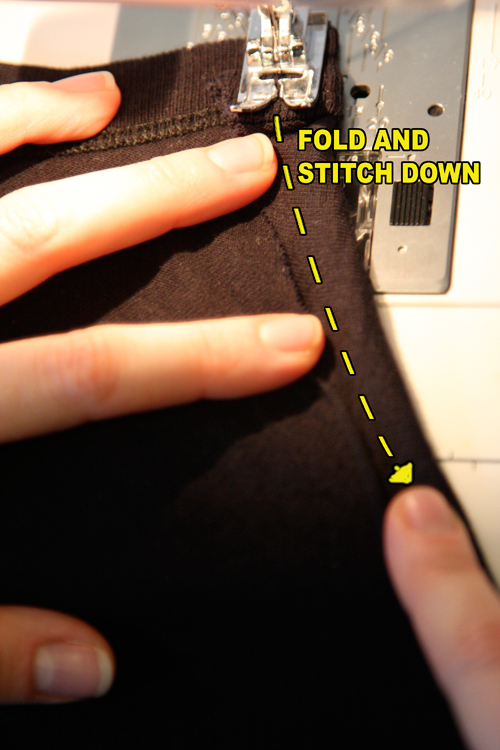 Fold in half and mark the center front and center back at the neck ribbing. Do the same with the tanktop. 5. 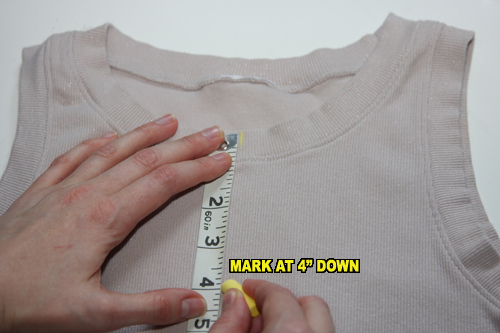 Measure 4″ straight down from the mark you made on both the front and the back of your tanktop. Make another mark at each point. 6. 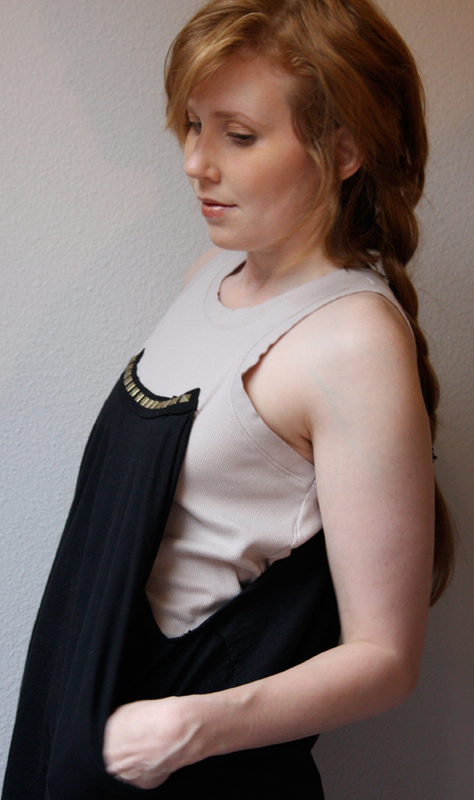 Place the tanktop inside the t-shirt. 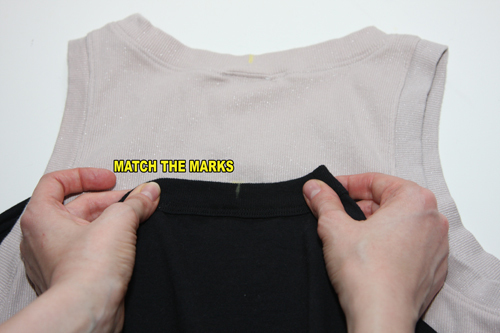 Line up the center front of your t-shirt on top of the mark you made on the center front of the tanktop. Pin in place. 8. 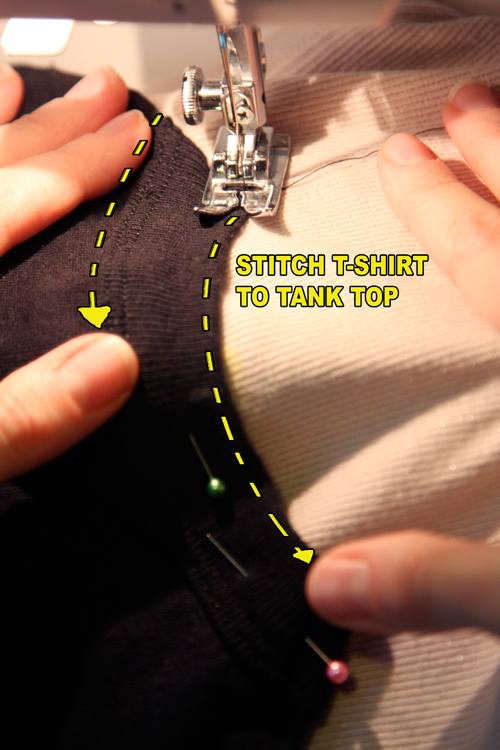 Repeat Step 6) and Step 7) to pin the back of the t-shirt onto the back of the tanktop. 9. 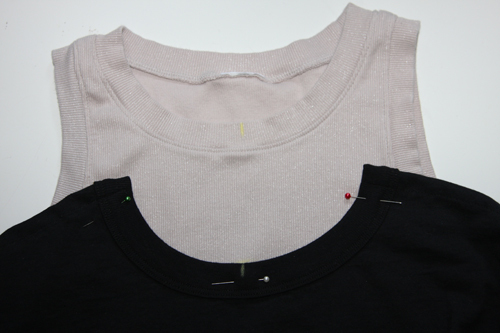 Stitch the t-shirt to the tanktop, following the lines of the neck-ribbing of the t-shirt. 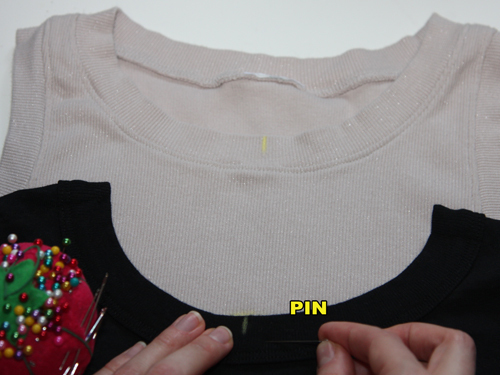 Sew TWO lines of stitching to secure: one line at the very top of the neck-ribbing, and one line at the point where the ribbing connects to the t-shirt. Do for both front and back of your piece. 10. 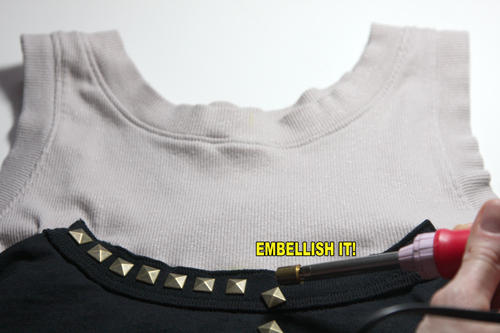 Add studs, hotfix embellishments, sew-on jewels, or fancy trim to the the tanktop neck, the t-shirt ribbing, or the hem of the garment to doll your piece up. Without the belt, hands in pockets. Belted with a velvet ribbon. Wear with some espadrille wedges and a cool pair of shades for a chic casual look as the mercury rises. I’d love to hear your feedback everyone! Cute and looks very comfy too. sweet! 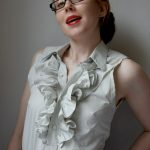 I have a ton of xl xxl men's shirts that I've been needing/wanting something to do with! 😀 cute top! Wow. I'm so impressed with your skills. 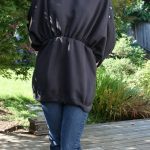 This is a fantastic idea for cute casual dresses. I have so many extra shirts that I might have to try this. Sup i am fresh to this, I hit upon this website I find It amply accessible and it's helped me tons. I should be able to give something back and assist others like its helped me. Good Day i am new on here, I hit upon this chat board I find It exceedingly helpful and it has helped me out so much. I should be able to give something back & guide other people like its helped me. Hi-ya im fresh here, I hit upon this board I have found It positively accessible & its helped me alot. I hope to contribute and guide others like it has helped me. Good Day i am new to this. I came accross this site I find It exceedingly accessible and its helped me a lot. I should be able to contribute & assist other users like it has helped me. Cheers all, Catch You Later. Sup im fresh on here, I came upon this forum I find It positively useful & its helped me out tons. I should be able to give something back & assist others like its helped me. Aloha im new here, I came accross this board I have found It incredibly helpful & its helped me out loads. I should be able to contribute & aid other people like it has helped me.